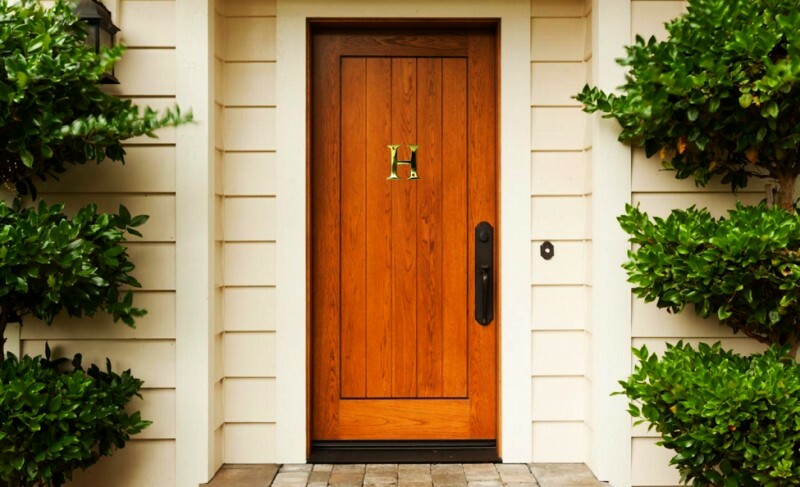 The front door is the gateway to your home and lifestyle. 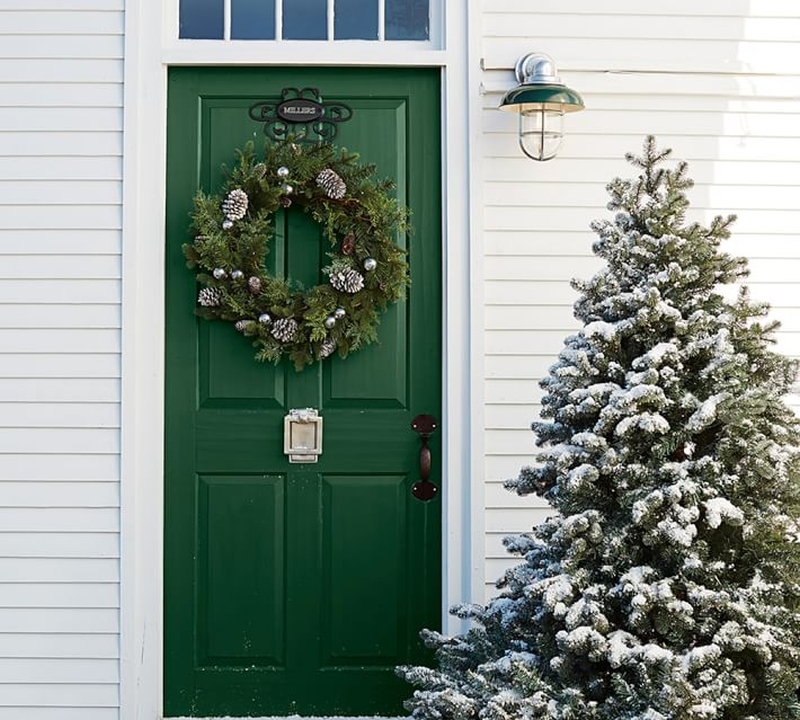 It reveals much about you and your house even before stepping inside. 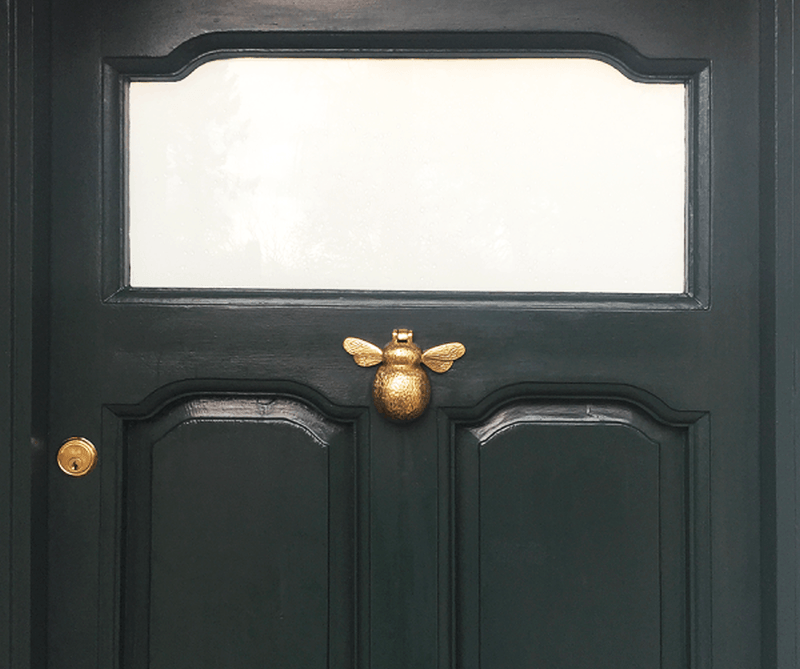 This is why you try your best to make your front door look as welcoming as possible. Easier said than done. 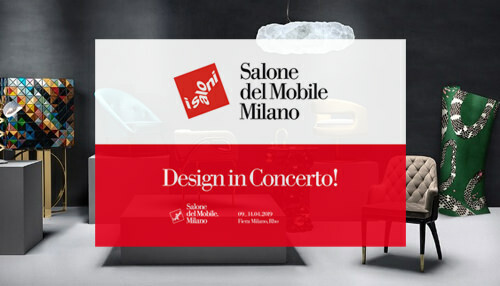 However, an inclination for design and a good selection can make things easier than they seem. 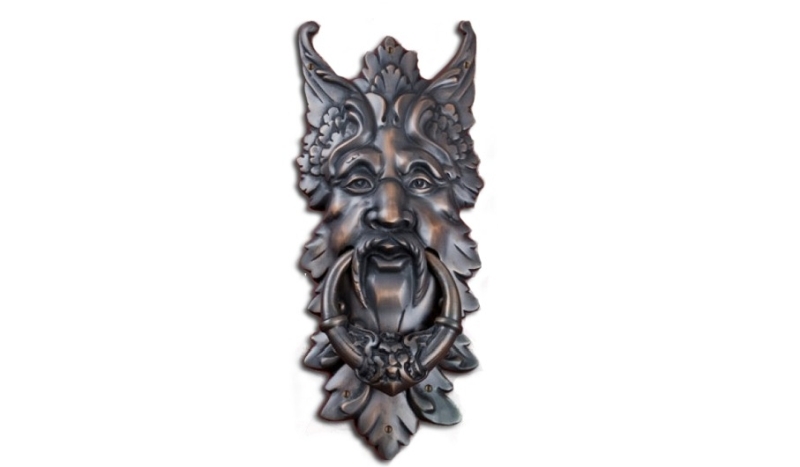 You can simply start with selecting a beautiful door knocker to personalize your front door. 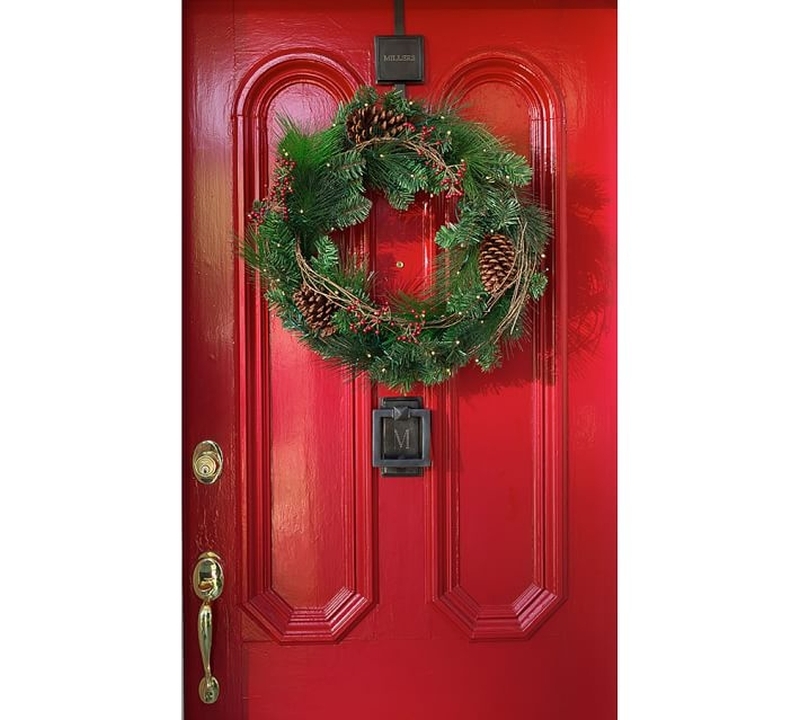 No matter how basic your door design is, a well thought out door knocker is like a piece of jewelry for your home. 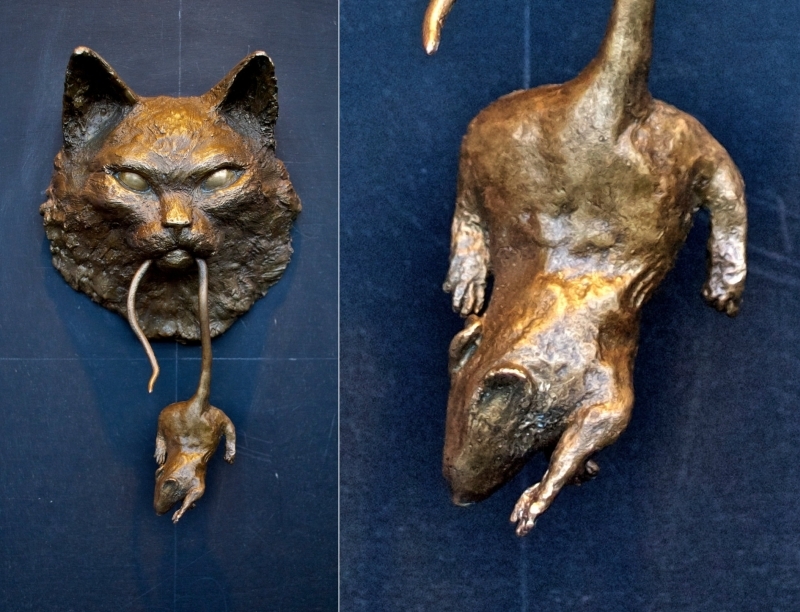 You can decorate your front door in your own way by picking a door knocker that is unique and sport it as your token of identity. 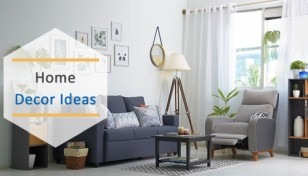 It will create a lasting impression about you and your home on a visitor. 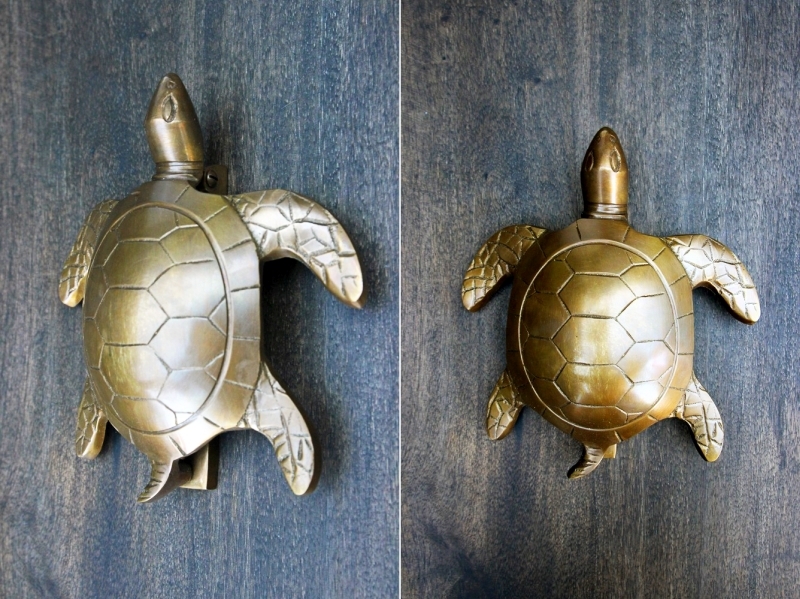 In this article, we have brought some amazing door knocker designs; give them a look. 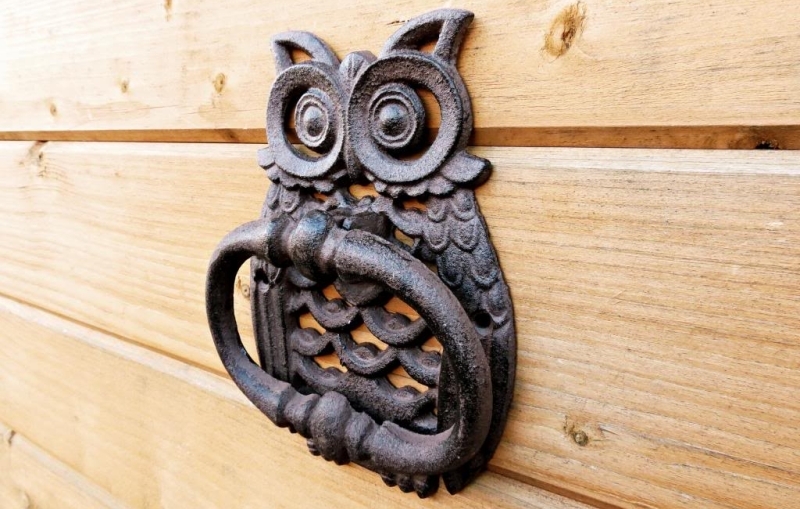 To make things simple for you, we have compiled a list of some unique and unusual door knocker designs so that you can choose the perfect one for your front door and decorate it the way you want to. Have a look. 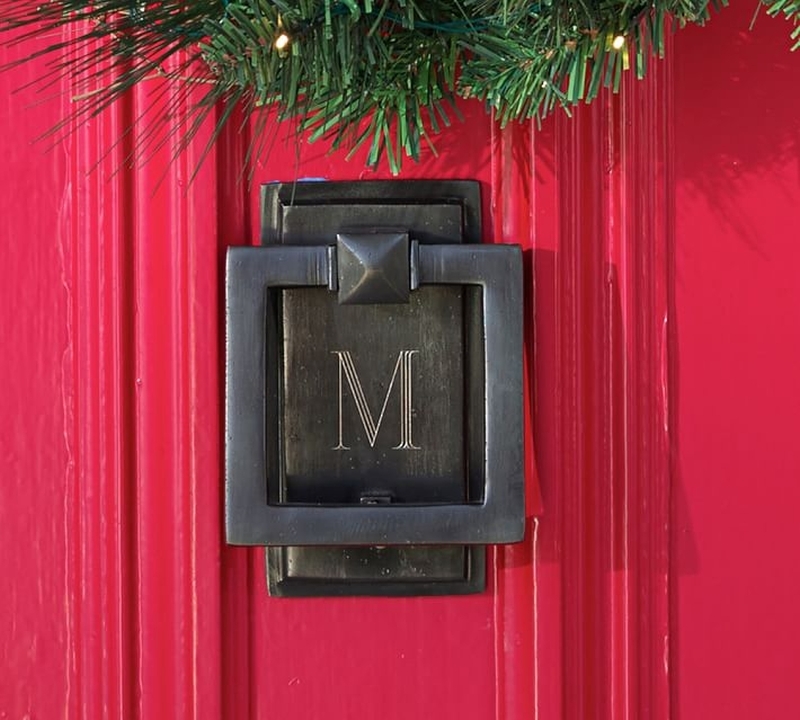 #1 This handmade H-shaped door knocker is a three-dimensional and functional jewel for your front door. 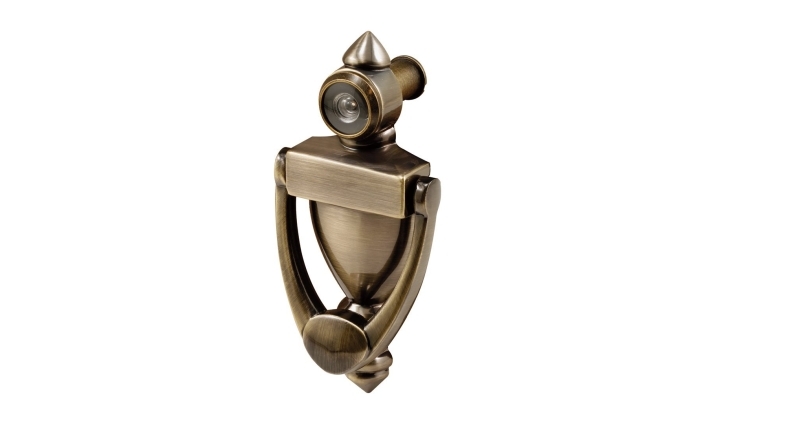 Its design lends quality to door hardware and adds a personal touch to your home. 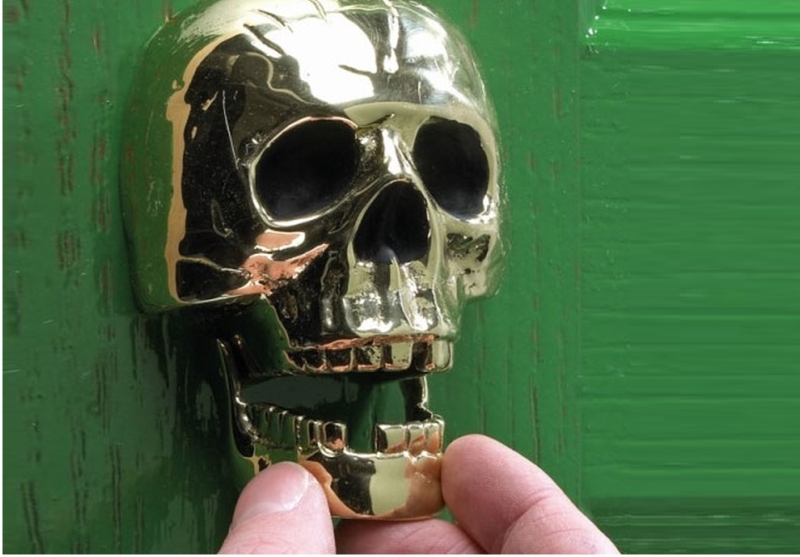 #2 This skull door knocker is a great gift idea for homeowners that like adding a spooky touch to their home. 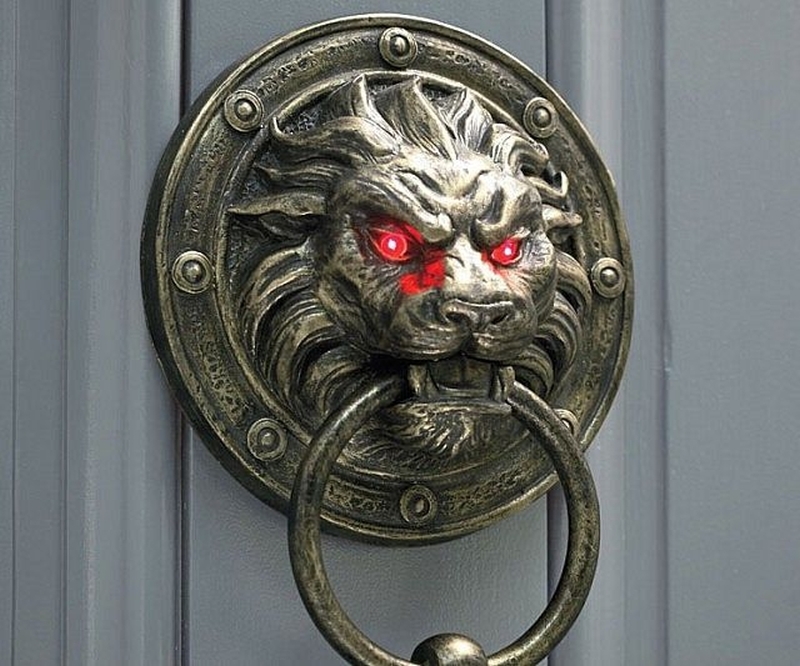 #3 This amazing door knocker is a unique art piece complemented by two demonic eyes that glow red every time a guest knocks. Scary, isn’t it? 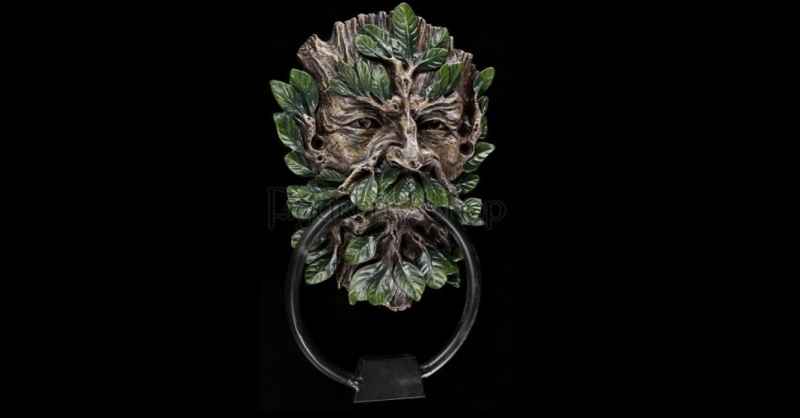 #4 Oberon brass door knocker is a good way to display your interest in the fictional world. 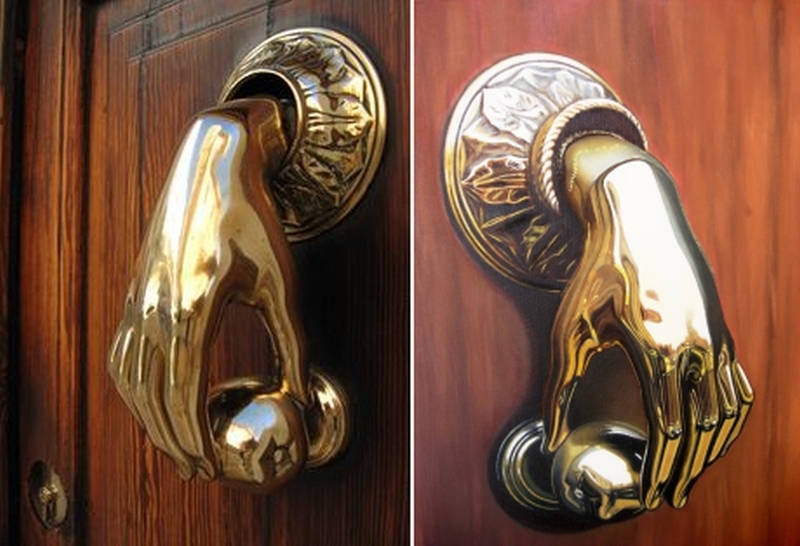 The door knockers come in attractive finishes. 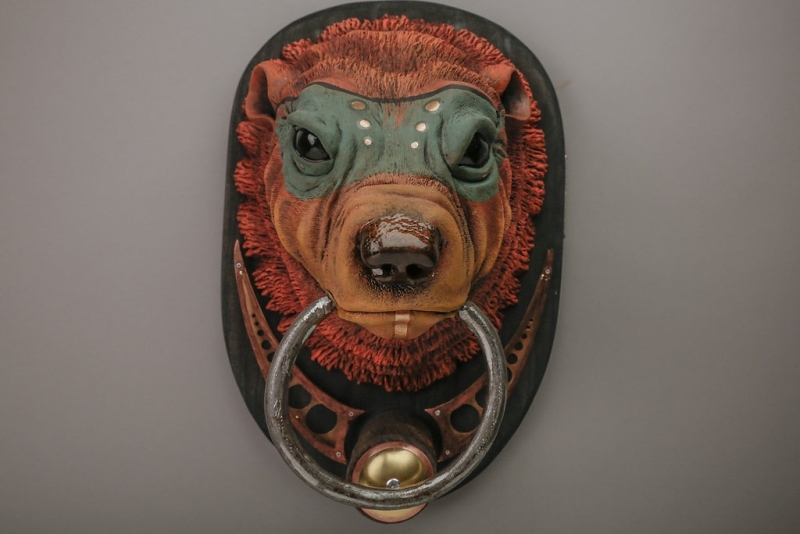 #5 Sun bear door knocker is something that will totally change the look and feel of your front door. As the name suggests, it looks like a bear. 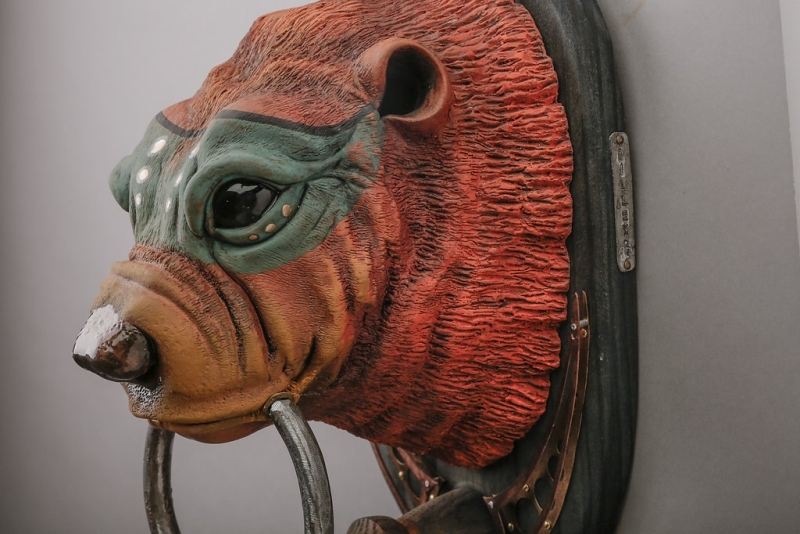 The knocker is designed by Hollie Dilley. 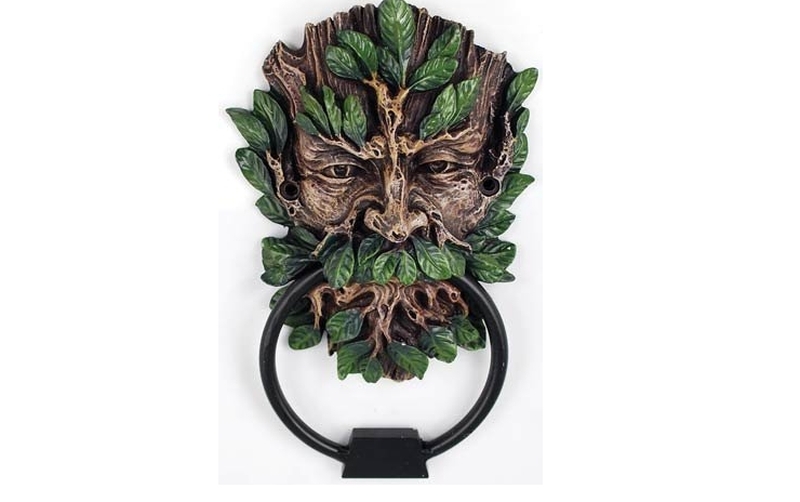 #6 This amazing door knocker dubbed ‘Scared’ is a functional and attractive door accessory that will surely impress your guests with its design and style. 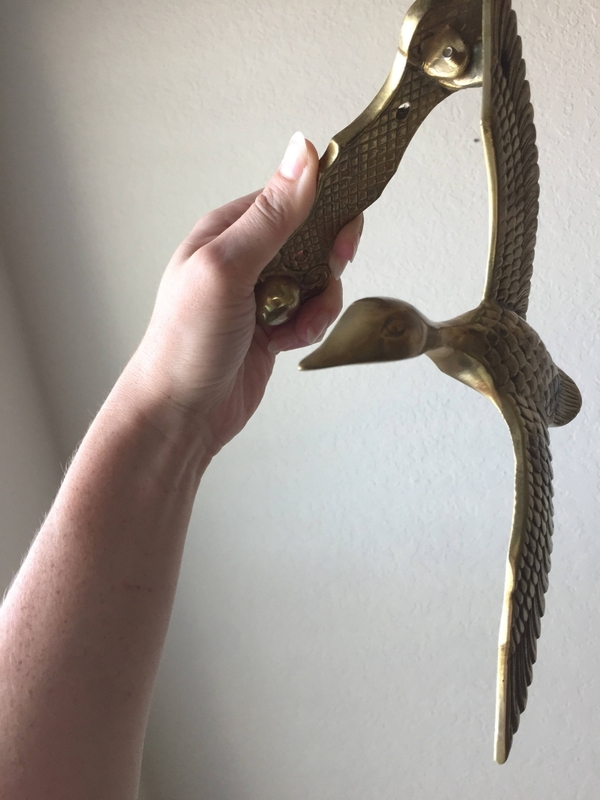 #7 This front door accessory is made of brass in the shape of a duck in flight. 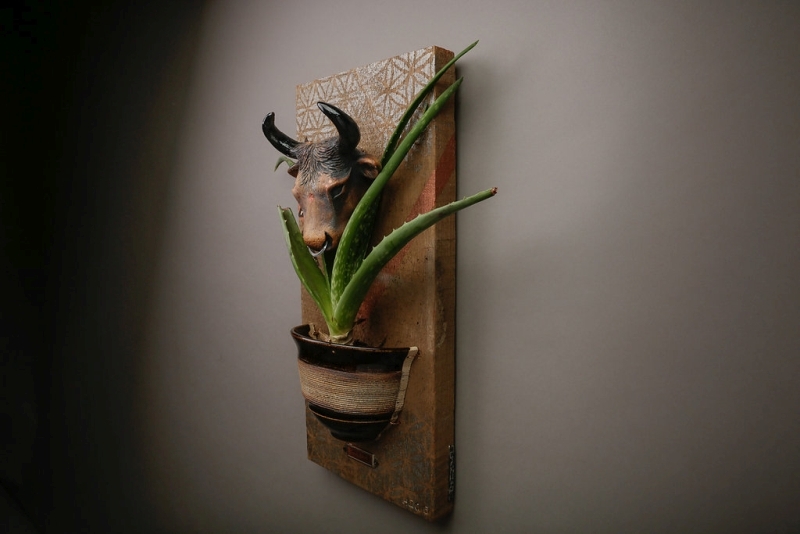 Surely, a wonderful accessory to create a unique statement for your home. 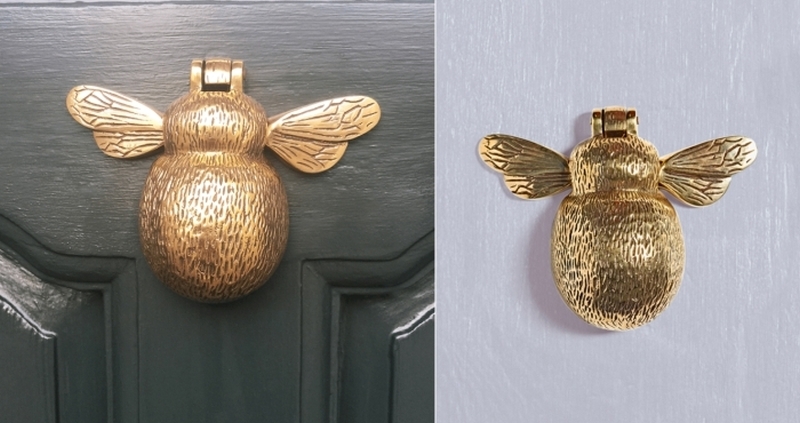 #8 Bumblebee-shaped door knocker is a unique and beautiful door accessory crafted from solid brass. The little wings and intricate details are a perfect combination of fun and style. 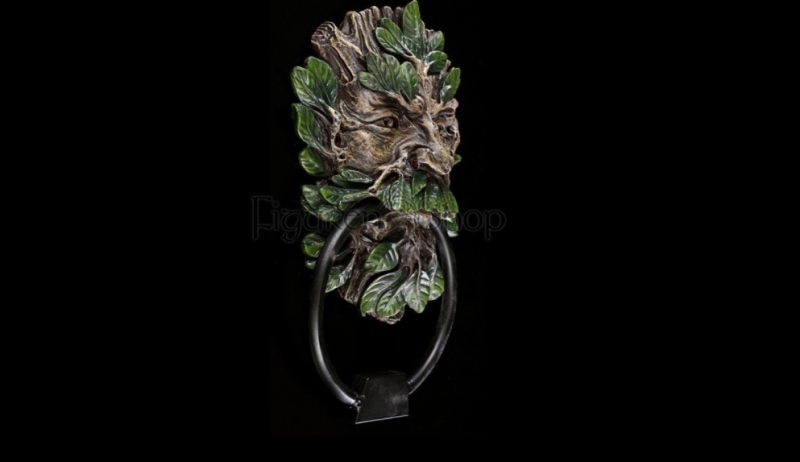 #9 Sculpted out of cold cast resin, this door knocker beautifully portrays the face of the Green Man as a weathered and twisted tree stump and fertile green leaves sprouting to form his beard and eyebrows. 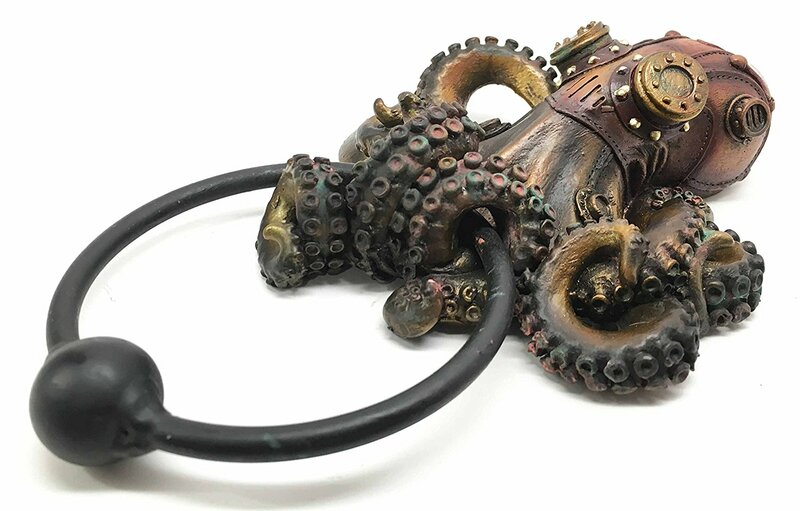 #10 Steampunk octopus door knocker is a beautiful work of art portraying the Victorian era. 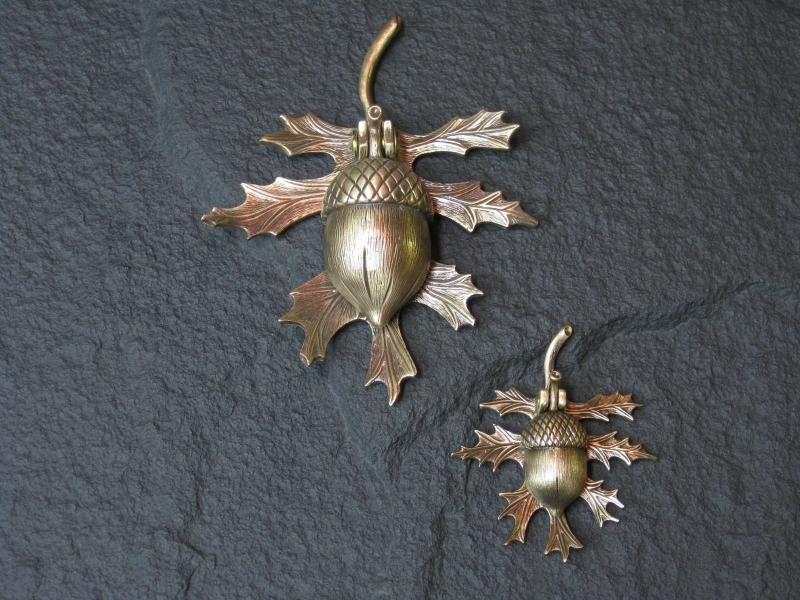 It is made of cast iron and polished with resin to achieve steampunk finish. 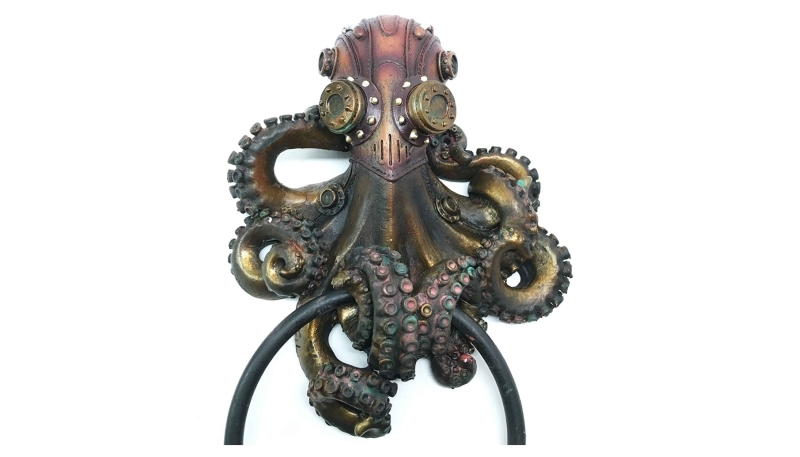 With this door knocker, immerse yourself and your guests in the magic of the steampunk world. 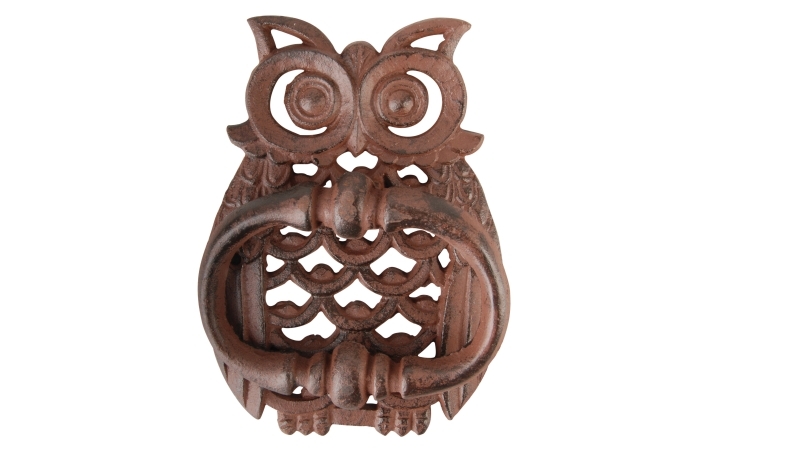 #11 Cast iron molded in the shape of an owl, this door knocker is perfect to keep a watch on your front door 24×7. 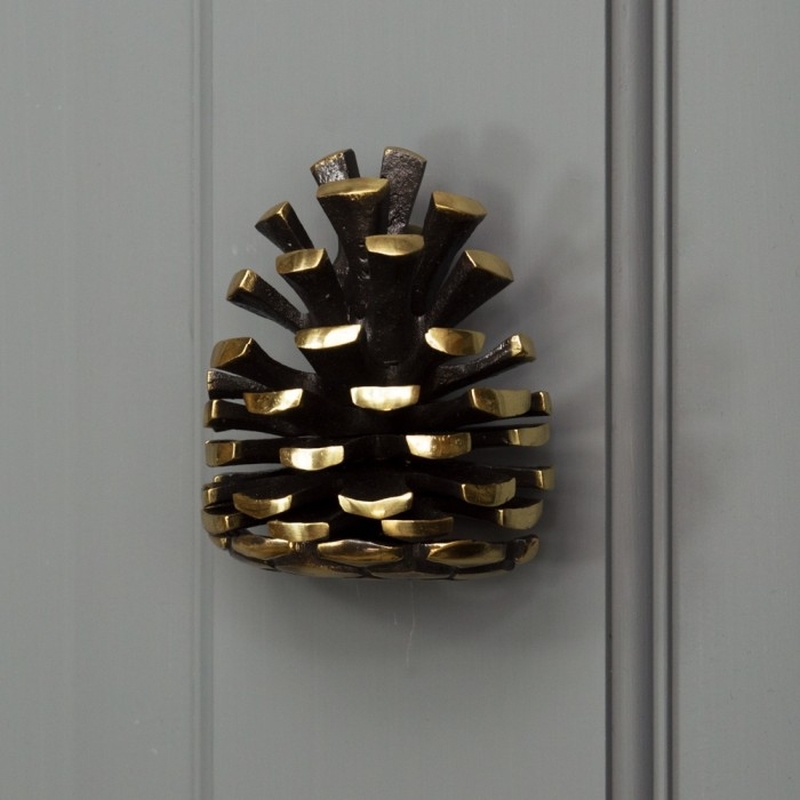 #12 Give your guest a great first impression with this brass pine cone door knocker. 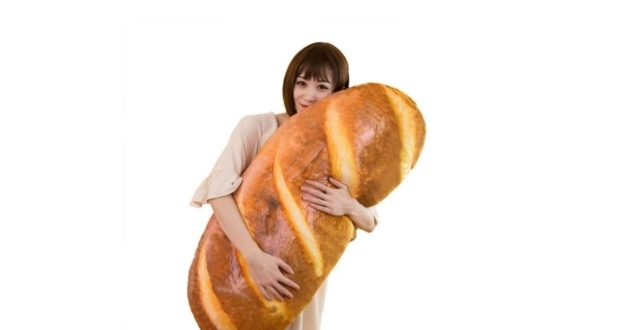 It looks strikingly real and solves your purpose too. 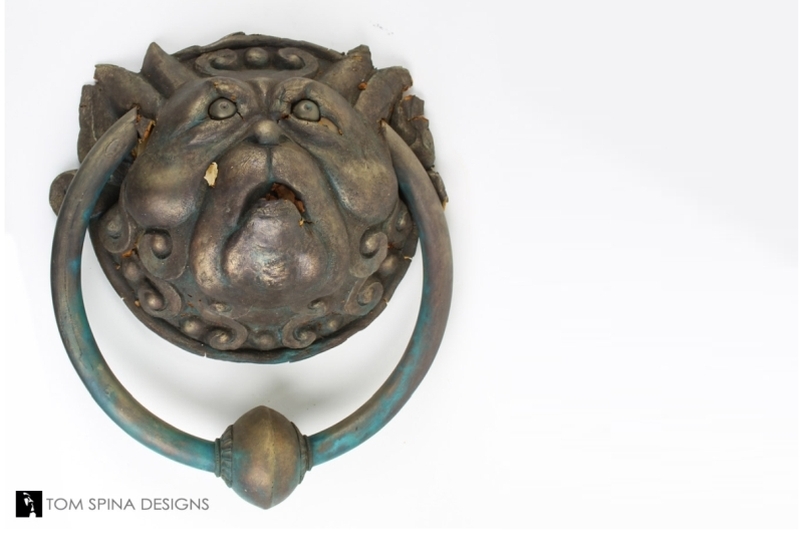 #13 This door knocker and viewer is a decorative and functional front door accessory, constructed of die casting process and comes in an antique brass finish. #14 Tortoise symbolizes long life, wisdom, and peace. 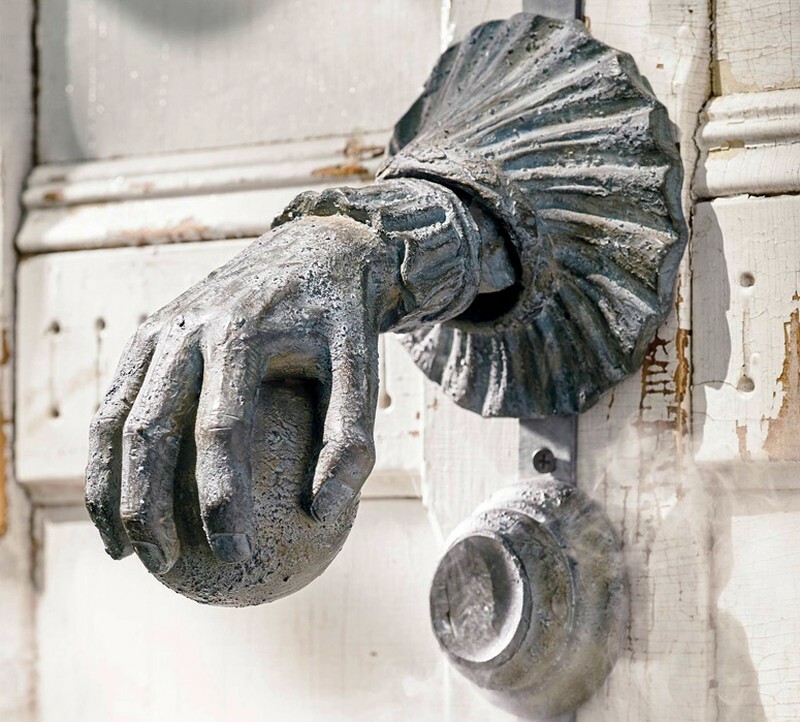 With this beautiful door knocker, you can welcome your guests with a blessing. 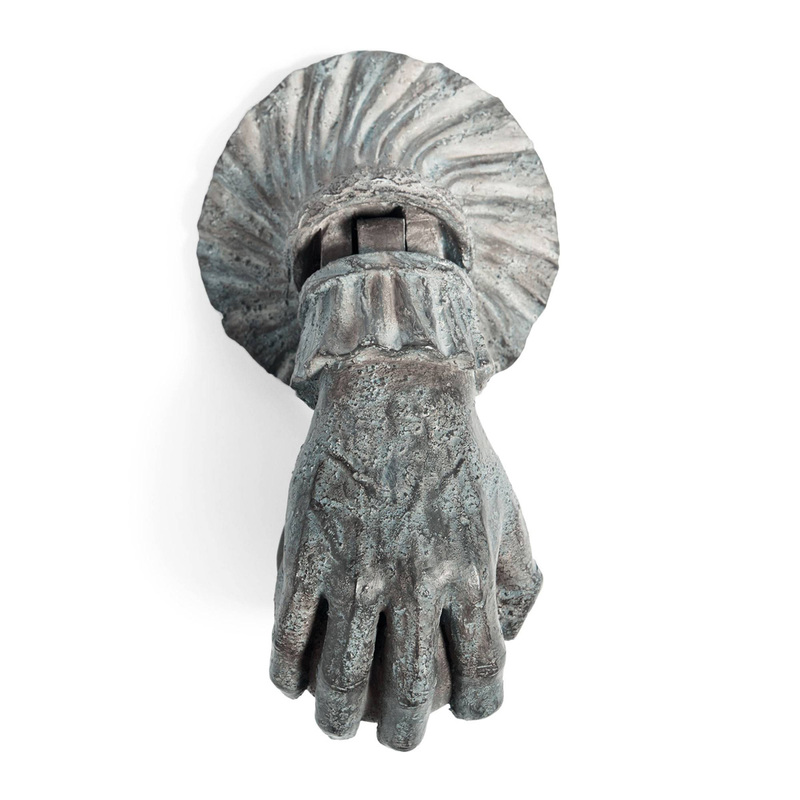 #15 This stone door knocker is a one-of-a-kind door accessory perfect for contemporary homes. 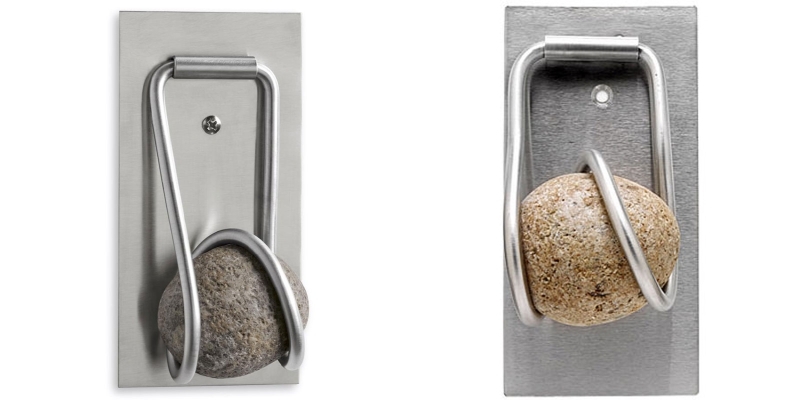 It is made of river stone and stainless steel. 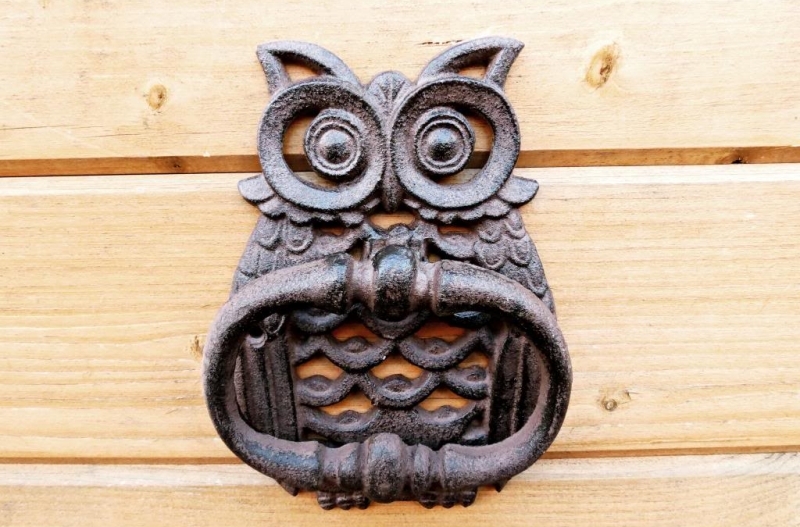 #16 Give your front door a unique touch with this square door knocker. 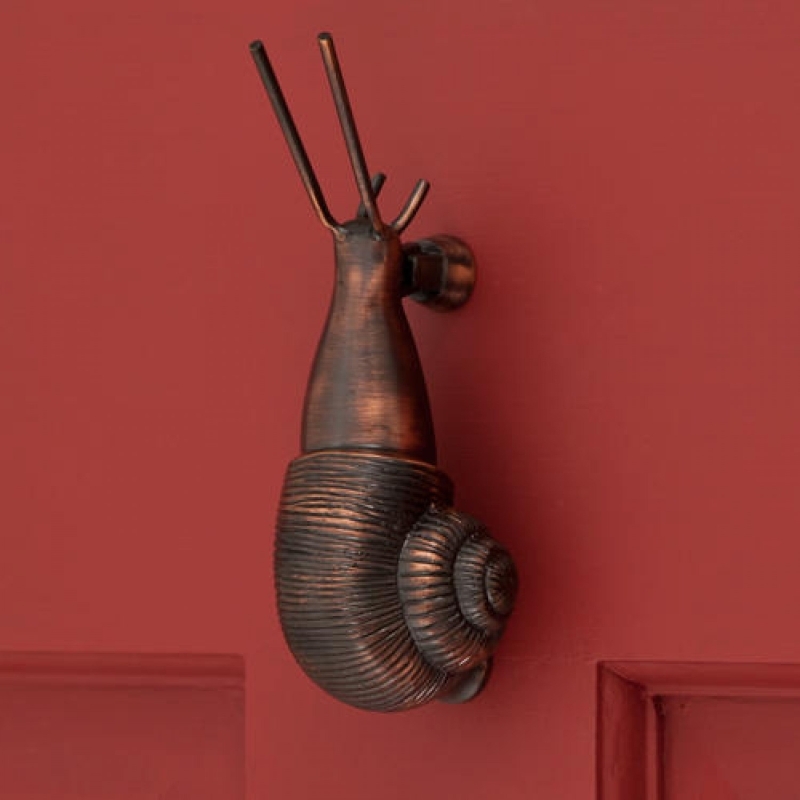 The knocker is made of brass and bronze finished with lacquer sealant. 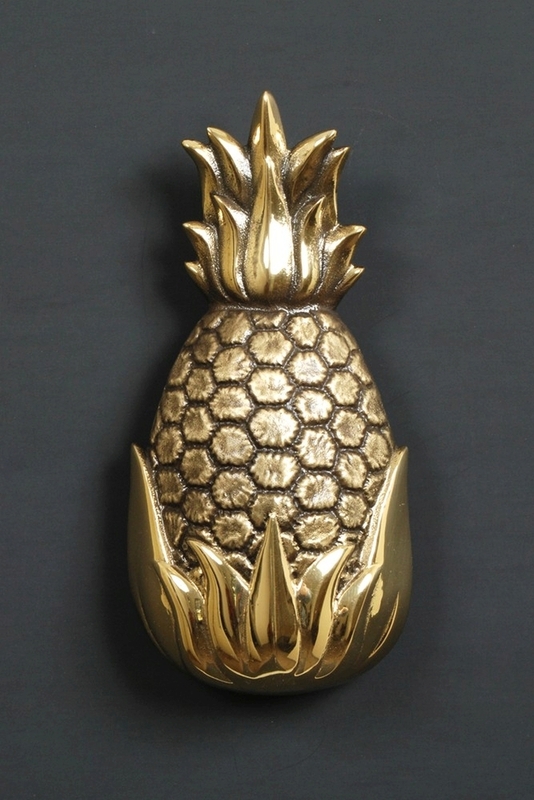 #17 Elegant and unique, the pineapple door knocker is an awesome way to bring sweet memories of your favorite tropical fruit to life. 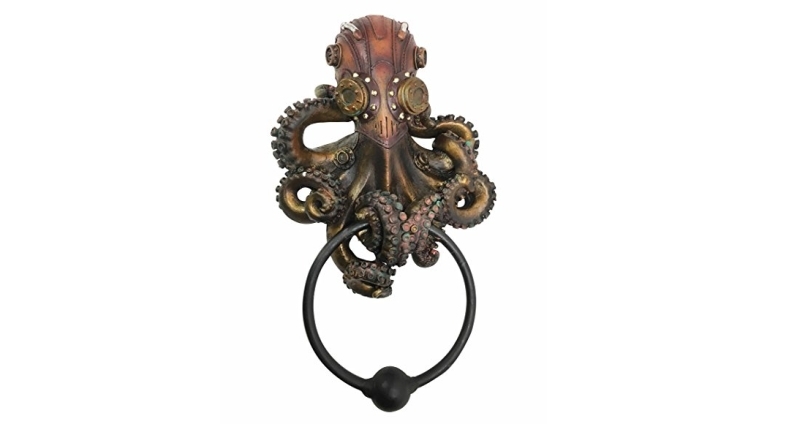 This door knocker is available in brass and nickel. 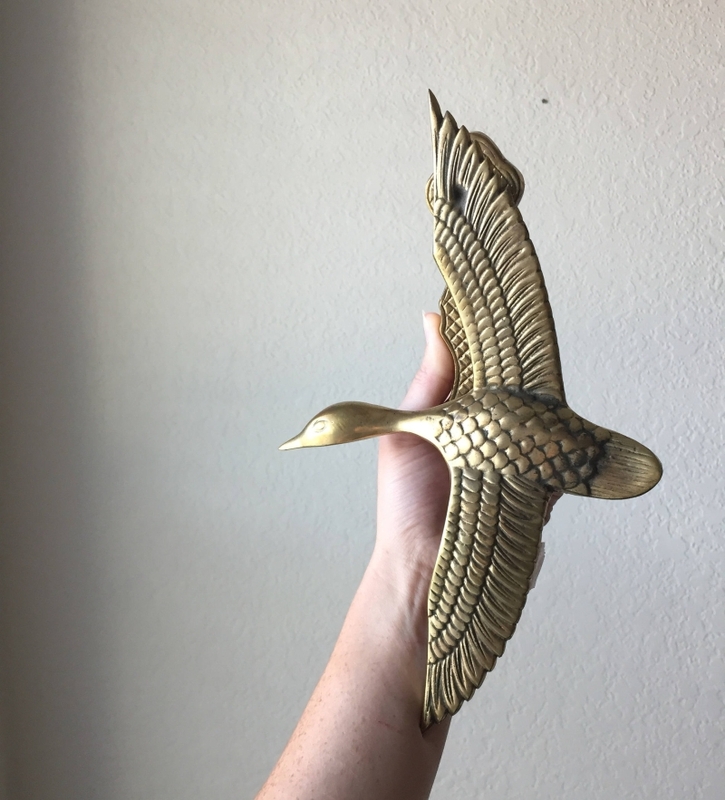 #18 What if your door knocker made the knocking sound of woodpecker? 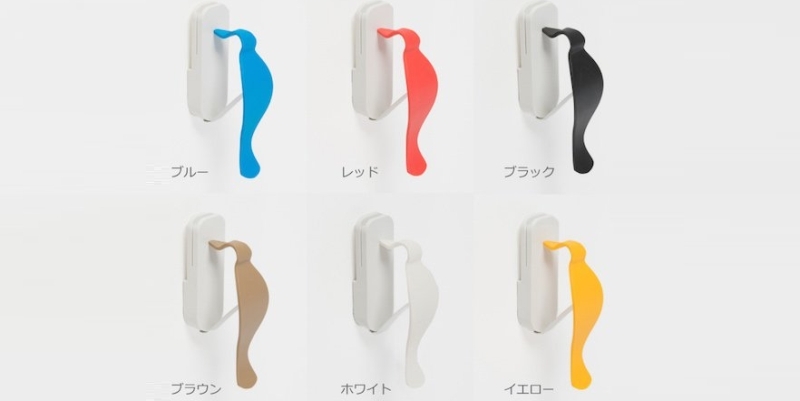 Have a look at Kitsutsuki door knocker designed to make sounds like a woodpecker with its beak when you press its tail. 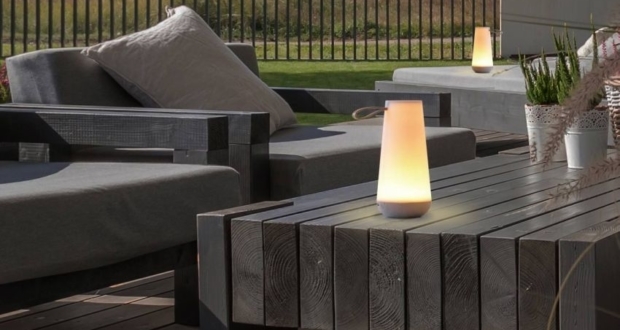 It is designed by Takuya Osawa for +d and comes in a range of pop colors. 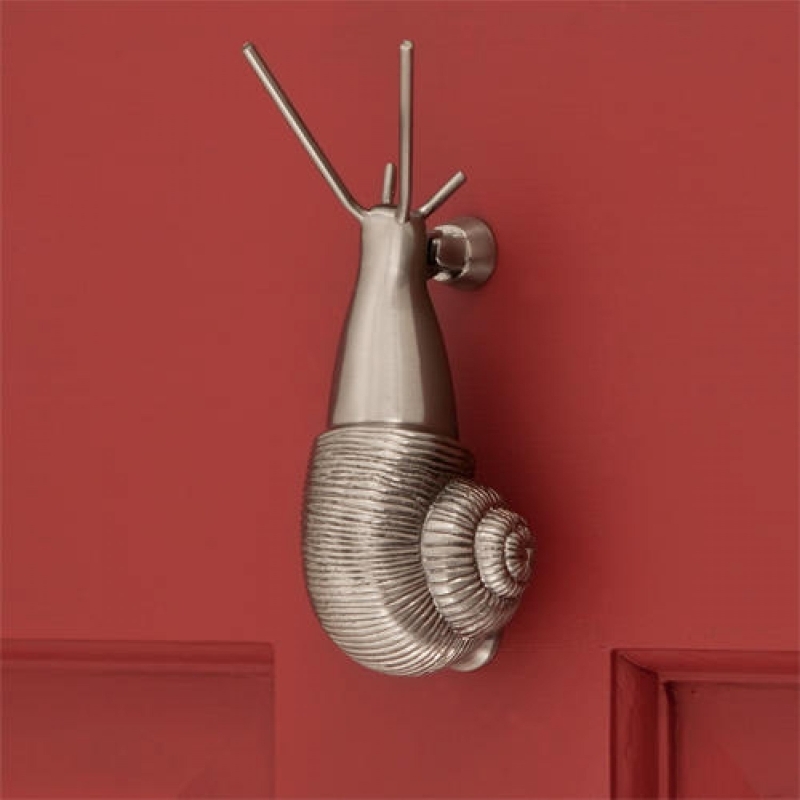 #19 Greet your guests with this beautiful snail door knocker that is made of brass. 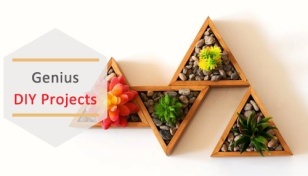 The design is quite offbeat and will appeal to only a select few insect lovers. 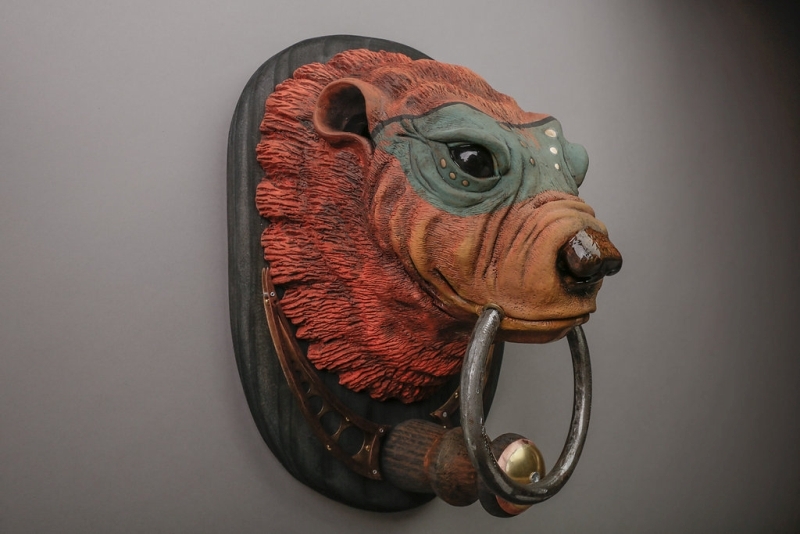 #20 This superb Labyrinth door knocker is a rare piece of art. 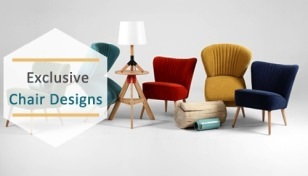 Its design is unique and wonderful that makes it different from the rest. 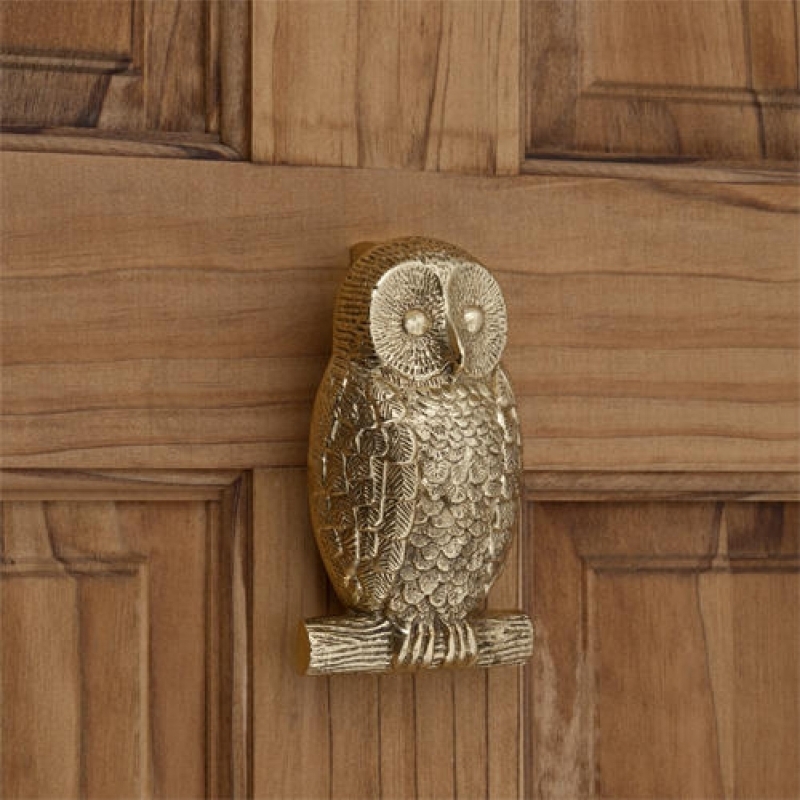 #21 Owl brass door knocker is crafted from solid brass. 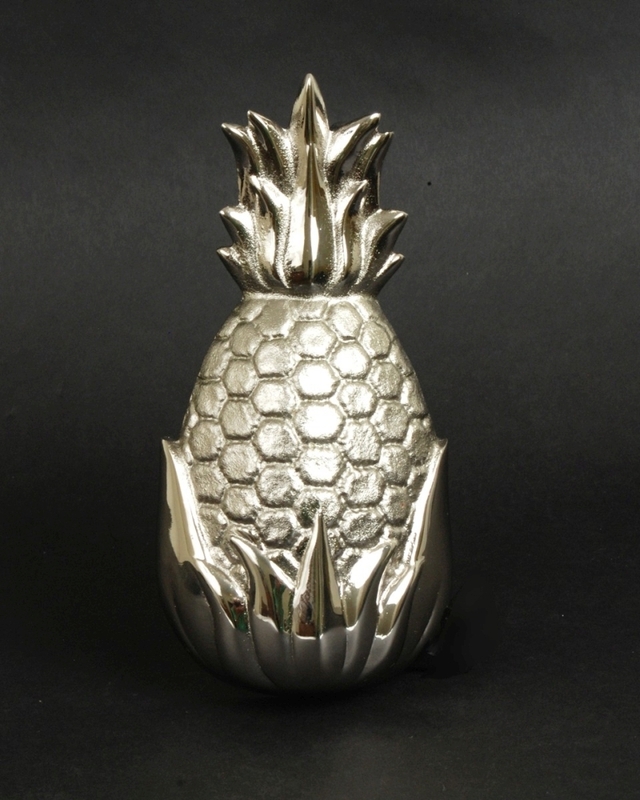 It is beautifully detailed and comes in three metallic colors. 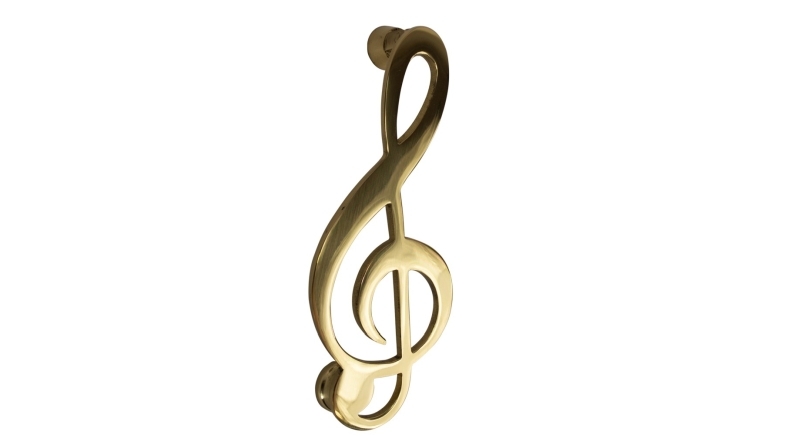 #22 Hit the right note with this stunning treble clef door knocker. 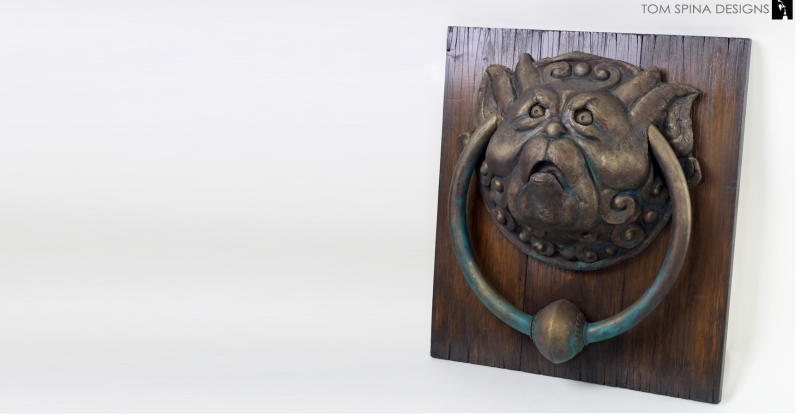 This door knocker is suitable for wooden and UPVC doors. 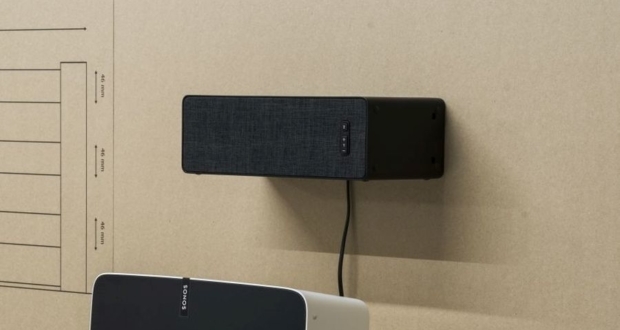 Audiophiles are surely going to love this one. 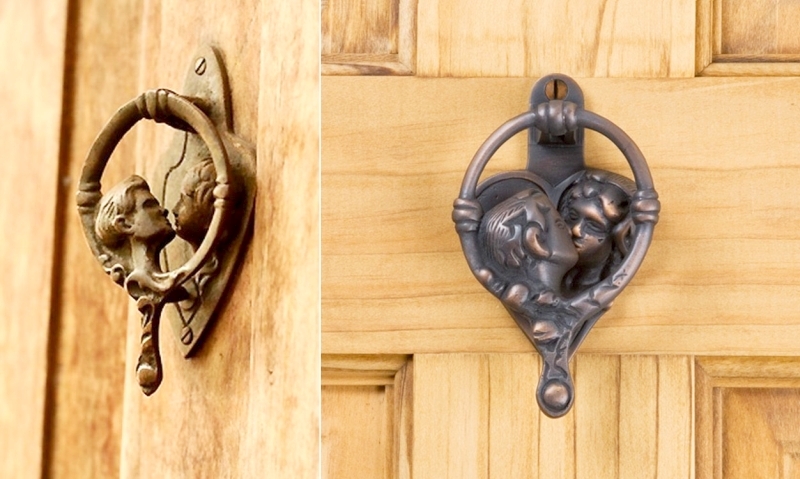 #23 This kissing couple door knocker is a vintage item made from heavy brass. 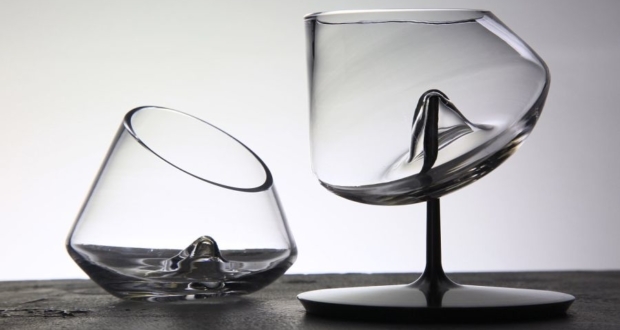 The detailing is hand hammered which gives it a very distinct feel. 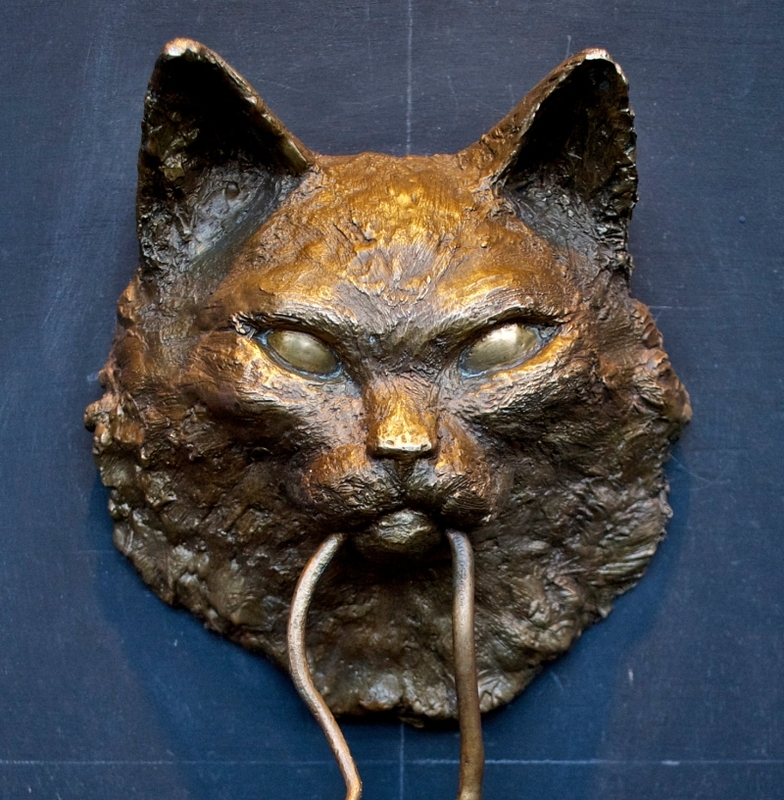 #24 Sculpted by Derek Bernstein, this unusual cat door knocker is made of bronze. 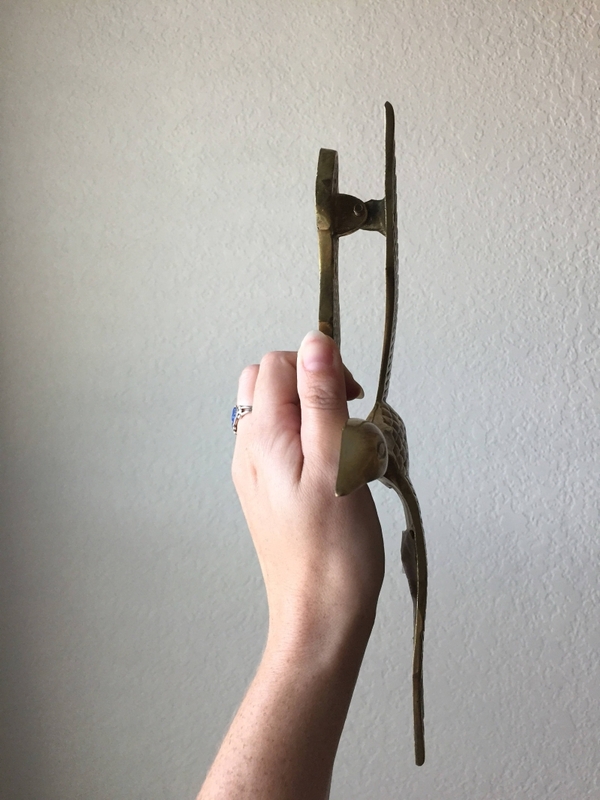 The structure is unique and can be mounted on the front door using a brass screw. 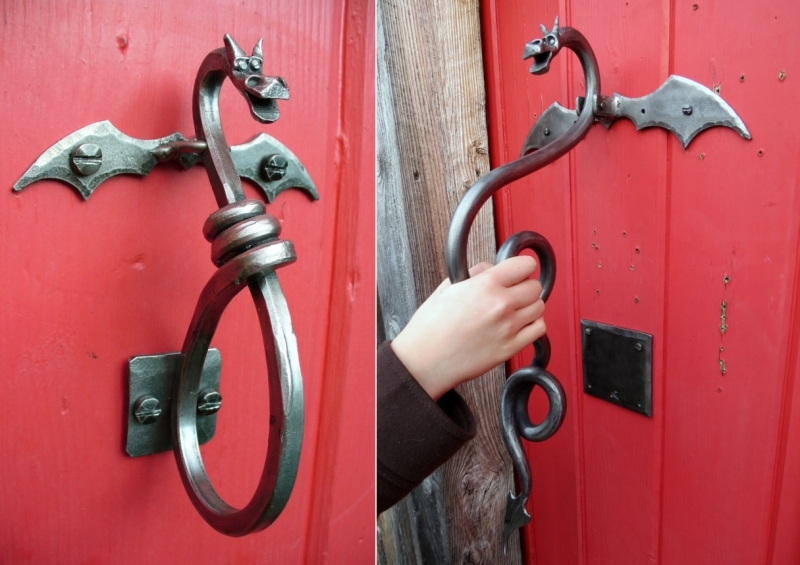 #25 The dragon door knocker is a beautiful door sculpture made using iron rod and sheet. It looks quite intimidating and perfect for someone obsessed with legends and folklores. 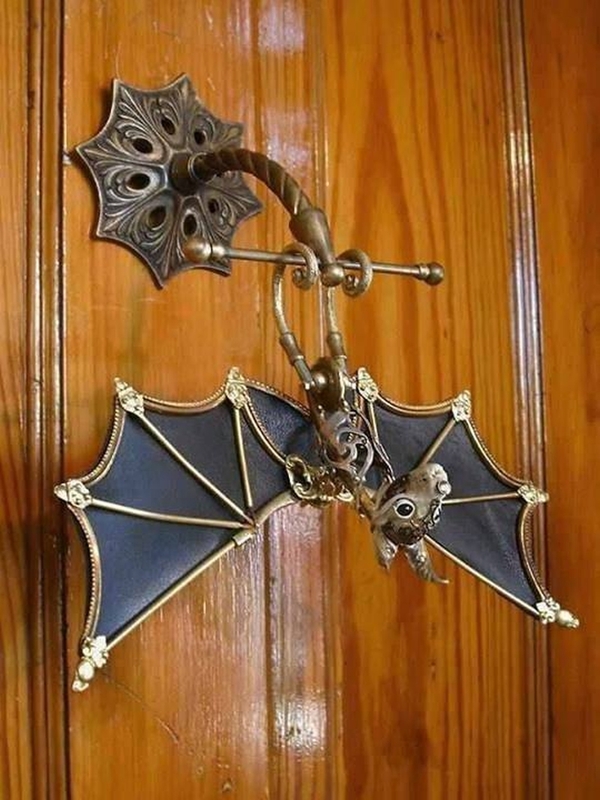 #26 This decorative bat door knocker will look great on the front door of your Victorian home. 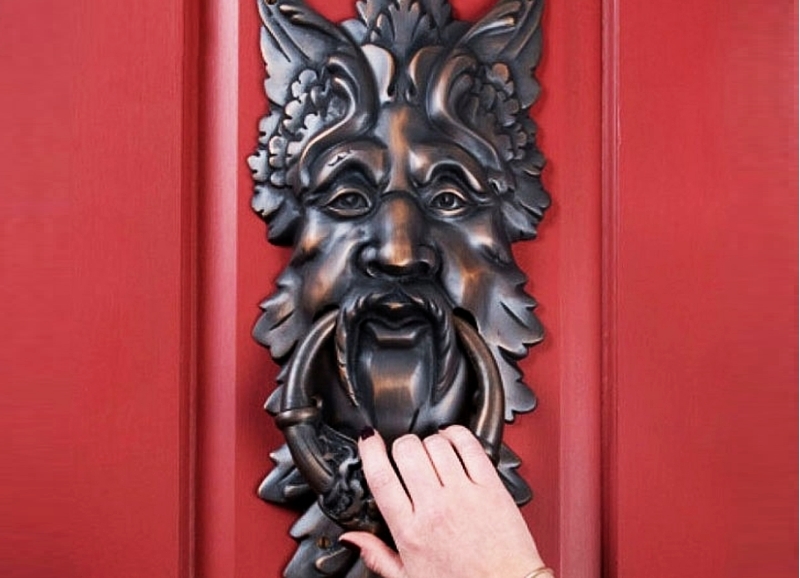 It would be safe to say that this knocker is well suited for gothic-themed homes. 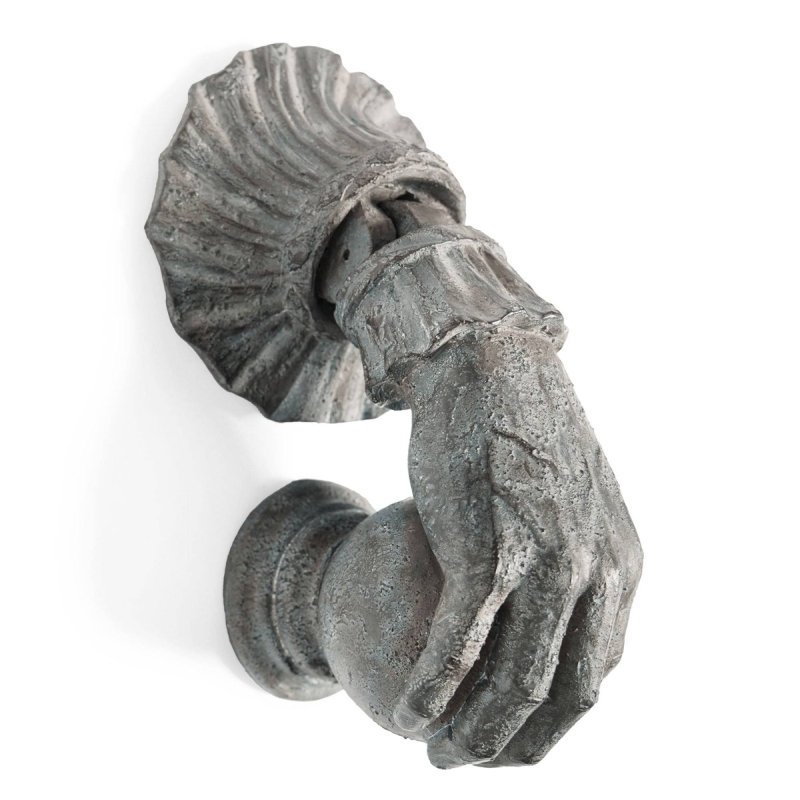 #27 The knocker handle is made in the shape of a downward bent hand holding a sphere. 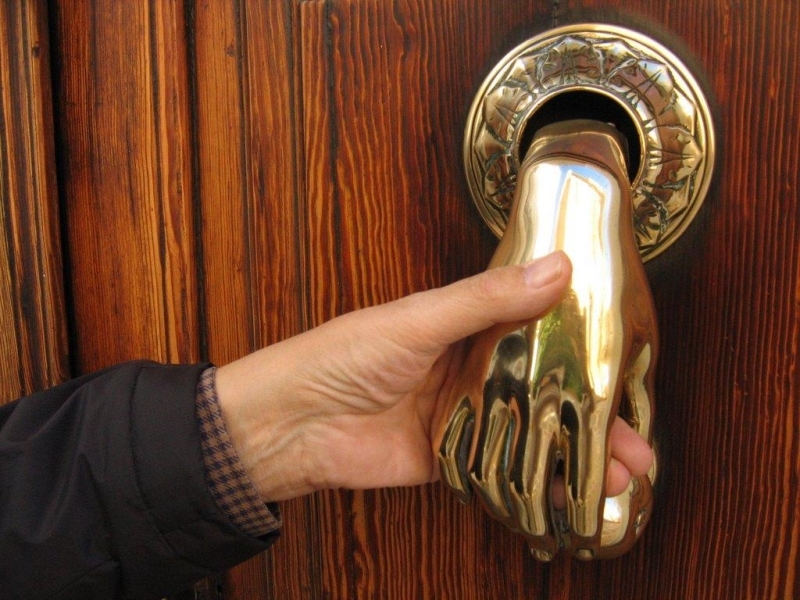 To knock, you need to hold the hand of the knocker and shake it a bit. 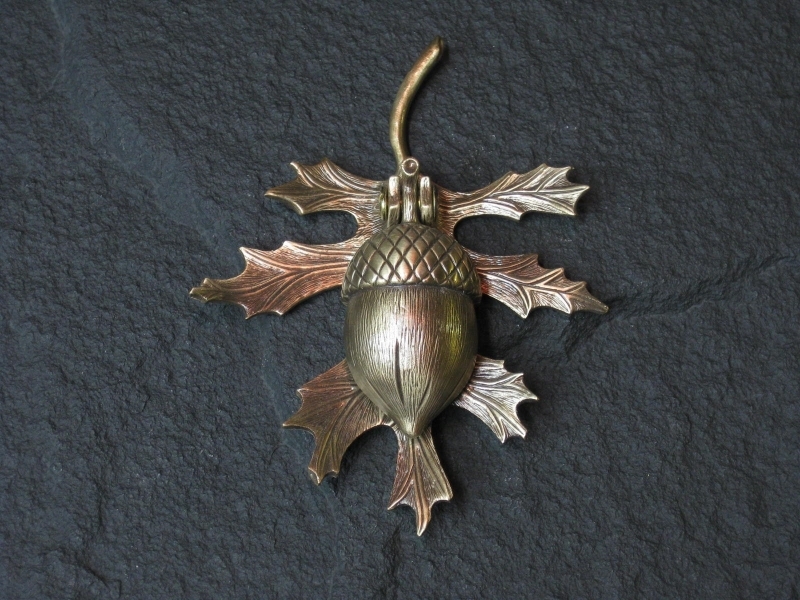 #28 This bronze oak leaf door knocker will give a decorative touch to your front door. #29 Mrs. 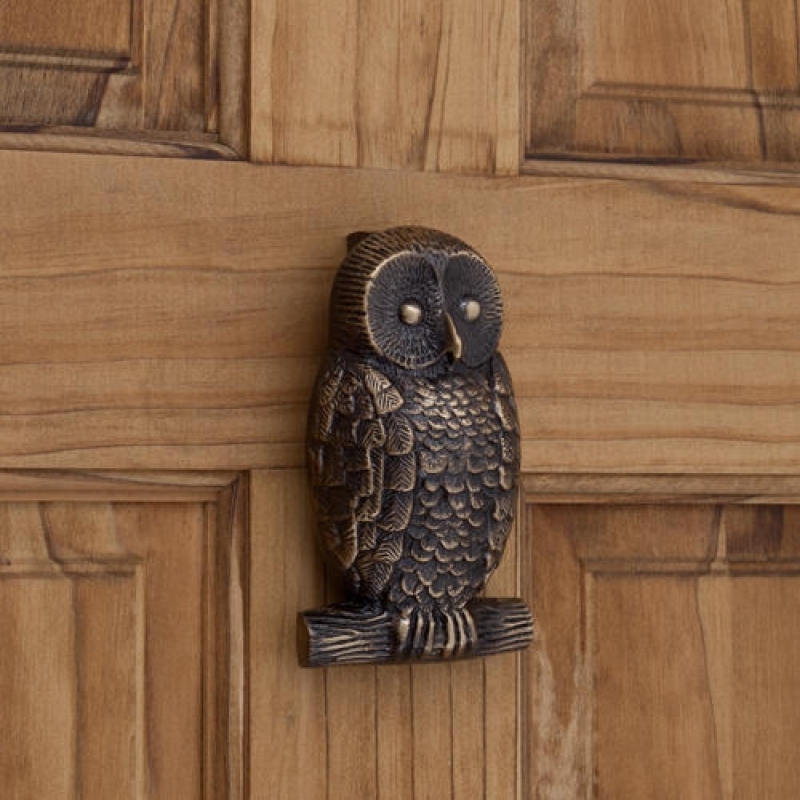 Powers door knocker is an adorable door accessory made of cast iron in bucolic style. 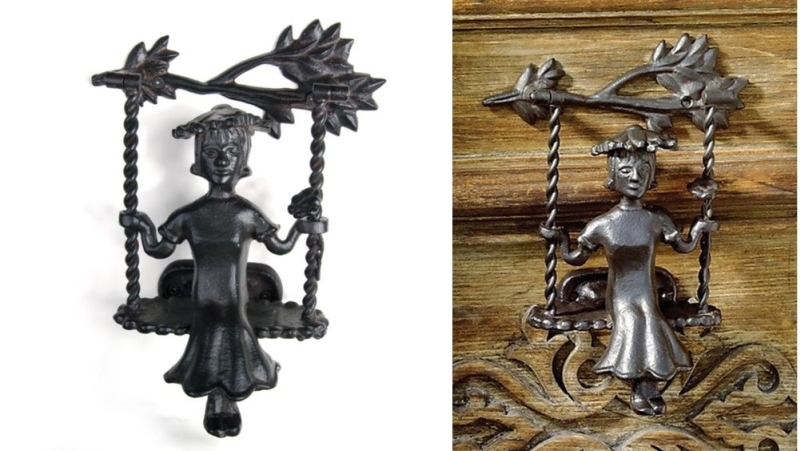 It portrays a fairy sitting on a swing which looks very calming. 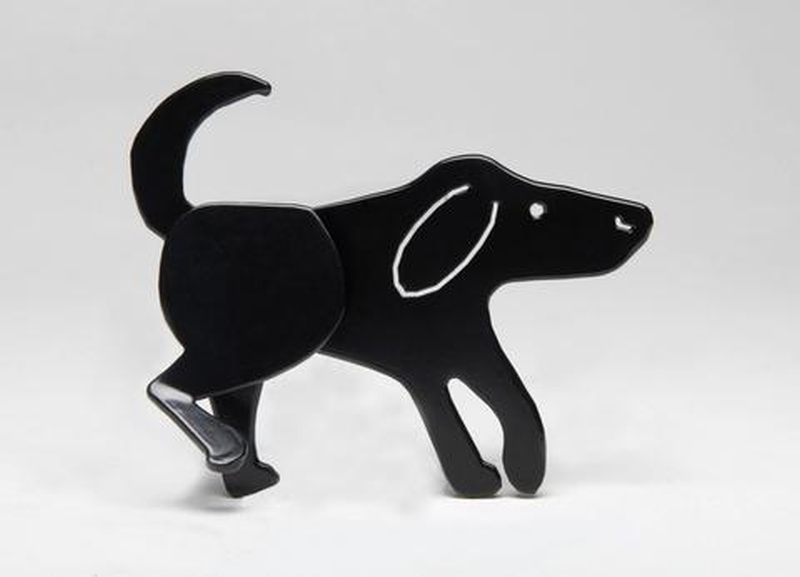 #30 This pawsome home accessory will lift the spirit of your guests as soon as they’ll reach your front door. 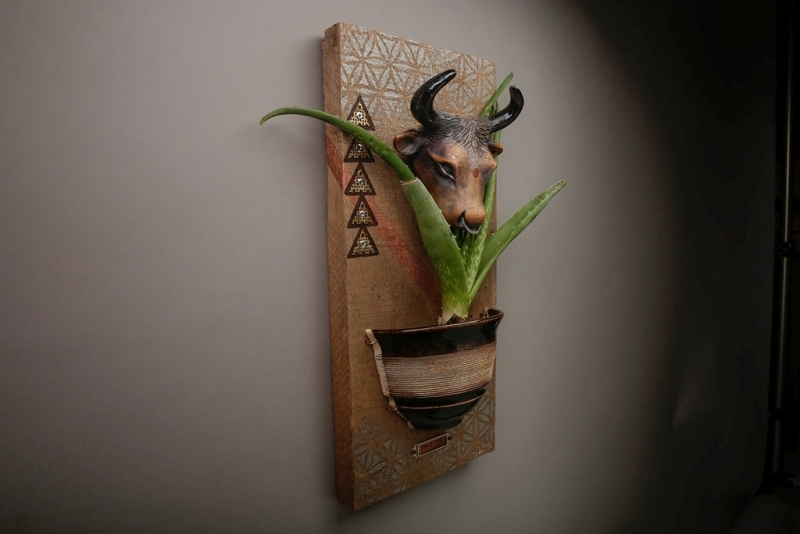 It will reflect your love for animals which is kind of cool. 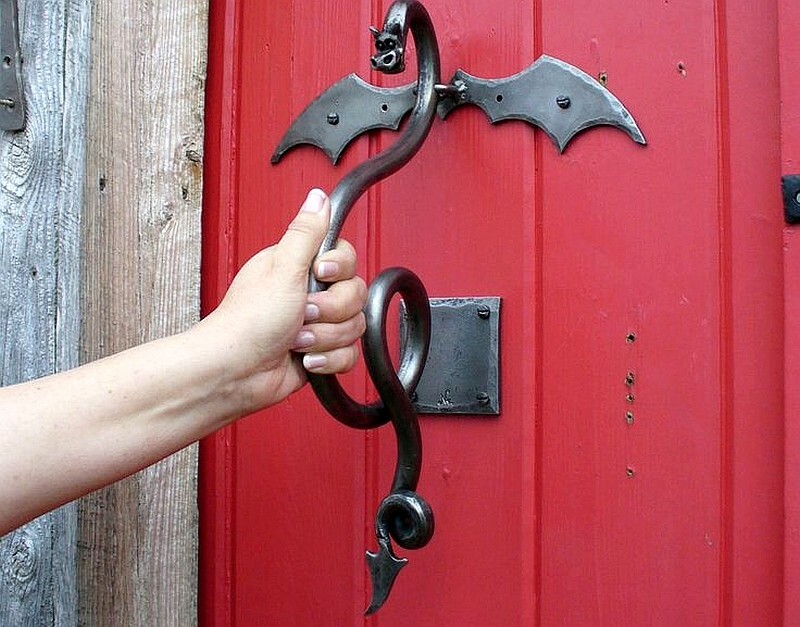 #31 This haunted door knocker can be a great Halloween gift. 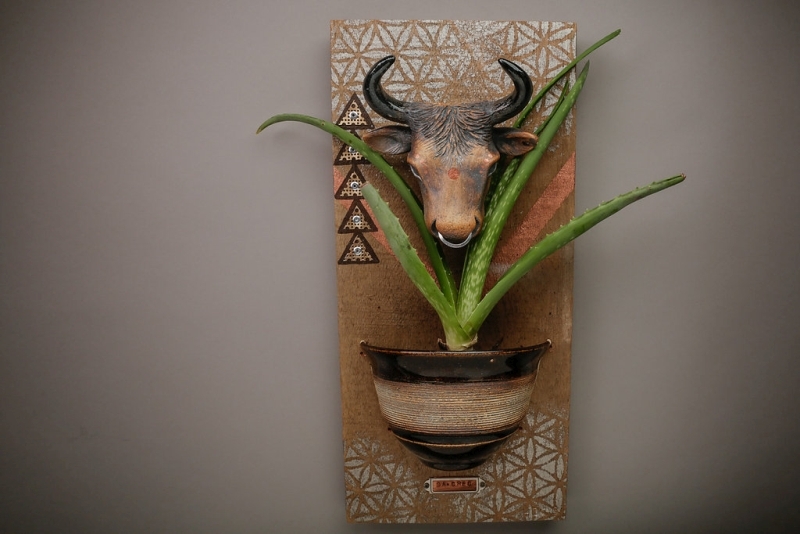 It is made of highly detailed artist-quality resin. So, be ready to welcome your guest in horrer style! 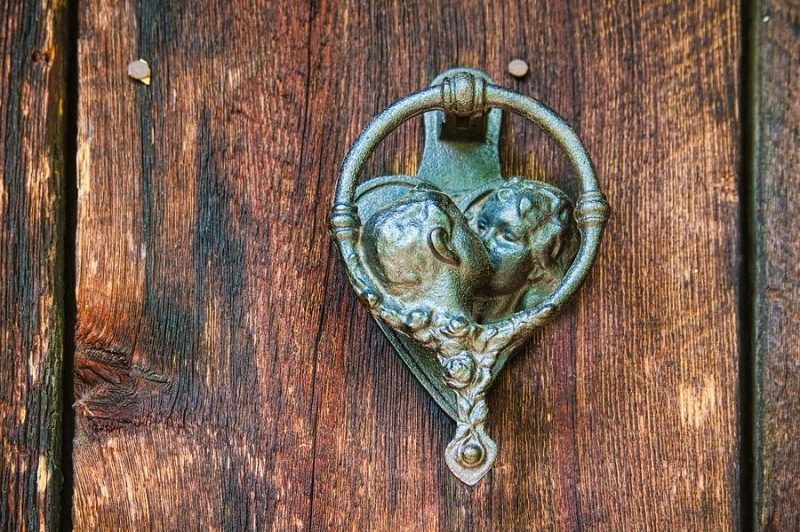 #32 Amor door knocker is made of cast iron. 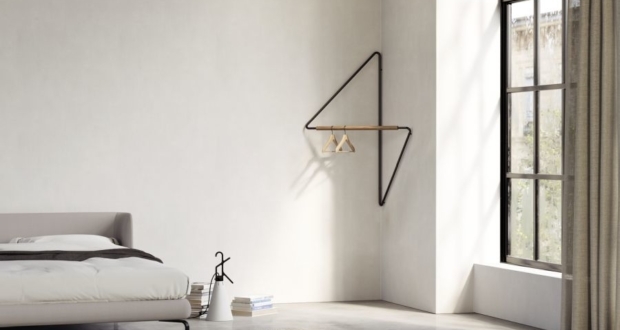 It looks simple yet elegant.